Garuda did not immediately respond to a BBC request for comment. A spokesperson for Boeing was “unable to comment on customer discussions”. 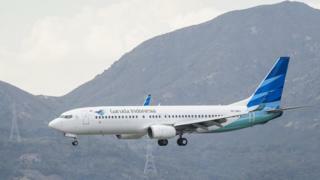 Garuda was among Boeing’s customers that had indicated they could scrap their orders. for the 737 Max jets but the Indonesian airline appears the first to take action. While there is no conclusive evidence so far that the Ethiopian Airlines and Lion Air disasters are linked, French experts analysing the Ethiopian Airlines’ flight data black box say early investigations point to “clear similarities”. The company said a software update is coming following the crash of the Lion Air flight. Investigators intend to to issue a preliminary report into the Ethiopian Airlines disaster by mid-April.